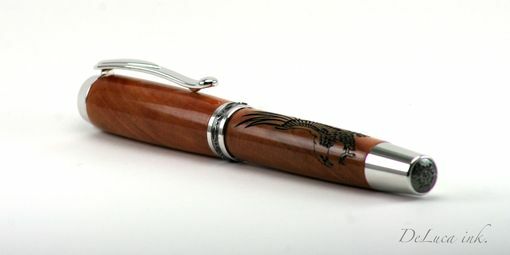 Custom Cherry Rollerball, plated in Rhodium and Black Titanium. 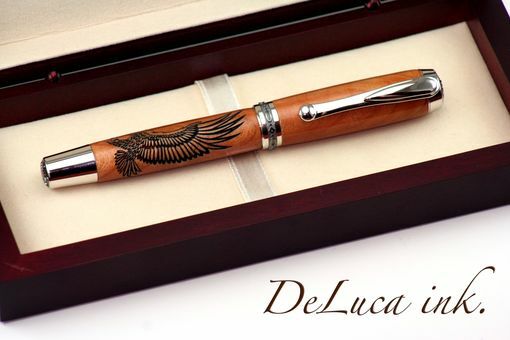 This Custom designed writing instrument features a laser engraved image of the majestic eagle in flight. Truly a unique gift with matching Cherry gift box.